Our philosophy at Stick It! Gymnastics is Quality Instruction - Fun First – Safety Always. We are proud to of our USAG Program. 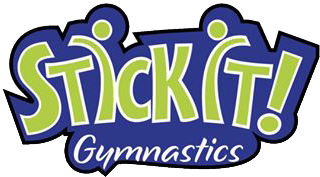 We strive to provide every gymnast with the best gymnastics environment, to allow each gymnast to excel on an individual basis, and to help build each child’s self-esteem through gymnastics. We also aim to initiate a strong ethic and moral foundation to help students beyond their gymnastics life. Gymnastics is not the destination, it’s just part of the journey! Gymnasts must have reached her 5th birthday for Level Bronze. Gymnasts practice 4 hours/week and are expected to attend every practice, meet and exhibition. Gymnasts at this level will have pre-designed routines tailored to their strengths and abilities. Gymnasts must have reached her 6th birthday for Level Silver. Gymnasts practice 7 hours/week and are expected to attend every practice, meet and exhibition. Gymnasts at this level will have pre-designed routines tailored to their strengths and abilities. Gymnasts must have reached her 7th birthday for Level Gold. Gymnasts practice 12 hours/week and are expected to attend every practice, meet and exhibition. The gymnast must meet USAG mobility score requirements as well as Stick It! Gymnastics mobility requirement. Gymnasts at this level will have personalized choreographed routines tailored to their strengths and abilities. Gymnasts must have reached her 8th birthday for Level Gold. Gymnasts practice 12 hours/week and are expected to attend every practice, meet and exhibition. The gymnast must meet USAG mobility score requirements as well as Stick It! Gymnastics mobility requirement. Gymnasts at this level will have pre-designed routines tailored to their strengths and abilities. Gymnasts at this level will have personalized choreographed routines tailored to their strengths and abilities. Gymnasts must have reached her 9th birthday for Level Gold. Gymnasts practice 12 hours/week and are expected to attend every practice, meet and exhibition. The gymnast must meet USAG mobility score requirements as well as Stick It! Gymnastics mobility requirement. Gymnasts at this level will have pre-designed routines tailored to their strengths and abilities. Gymnasts at this level will have personalized choreographed routines tailored to their strengths and abilities. Please contact the front office if you are interested in trying out for our competitive team.